We are just ONE day away from the NFL season and today is the PENULTIMATE day of the MEGA preview of the 2018 football season. 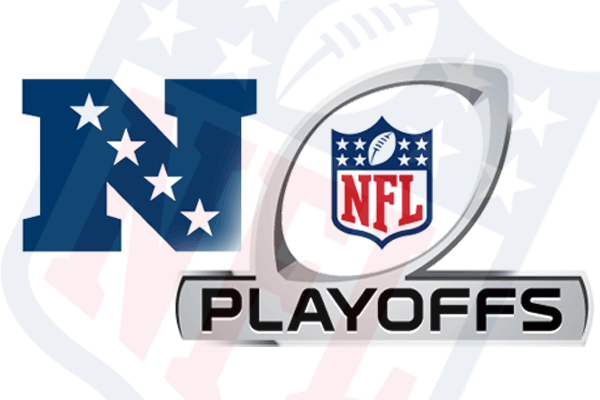 Like yesterday, today is also TWO parts with the NFC playoffs being released right now, the AFC playoffs will be dropping LATER today, with the Super Bowl pick coming tomorrow. Those are the SIX teams in the NFC playoffs, MAJORITY of the teams are the SAME as last season outside of the 49ers, as I am drinking the Jimmy Garoppolo/Kyle Shanahan kool aid. As far as the NFC playoffs go, I think the most COMPLETE team in the NFC are the Rams and we will see that over time they will be the BEST team in football and they are a LOCK to make the NFC Championship game. The Packers are a team that is CLOSE to being complete, so I think they are ANOTHER team that could make some NOISE in the NFC playoffs but they are NOT going to be the team that goes to the Super Bowl from the NFC. The Eagles are in a SMALL quarterback controversy and that is going to hold them BACK this season and despite ENDING a LONG DROUGHT for the city of Philadelphia, the Eagles will NOT be repeating this season. The Falcons and the Saints are GOOD teams but they are NOT great and will have EARLY exits in the playoffs, thus my pick to be the NFC champ this season is the Rams, who have a SCARY defense and a CRAZY good offense. UNFORTUNATELY, for the Rams they are cursed for the REST of the season due to the #AviMehtaCurse. Tune in LATER today to see who the Rams will play in the Super Bowl and we will find out tomorrow who will WIN the Super Bowl this season.